The WWDC keynote just started, and Scott Forstall, the head of the iOS development team, is unveiling a slew of new iOS 5 features. Spoiler alert: iOS 5 will be a great update. Notifications When compared to competing operating systems, iOS 4’s notifications system looks antiquated at best, and it needs to go. 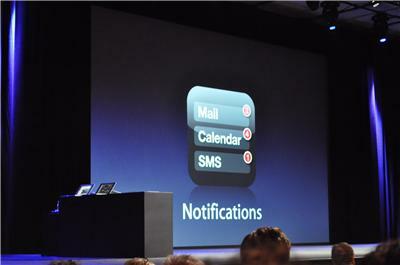 The iOS 5 notification system will offer non-intrusive, yet meaningful notifications. 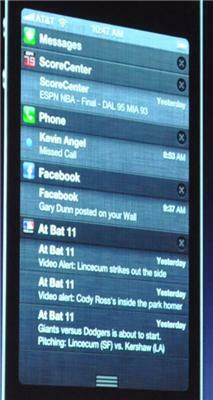 iOS 5 offers a single interface which combines all of your notifications, even the ones you missed, simply swipe finger down from the top to have access to all of them. Notifications are no longer interrupting, for instance, an animation comes down from the top while using an app. Best of all, swiping across any notification on the lock screen puts you directly in that application. Twitter Integration iOS 5 will offer low level integration with Twitter. Simply allow your apps to have access to your Twitter credentials, no need to login into Twitter anymore. Twitter photos and ‘@’ usernames can now be autopulled from/to contacts, and you can tweet pages directly from Safari, videos from Youtube, and so on. Mobile Safari More than three years after its launch, Mobile Safari finally supports tabbed browsing. 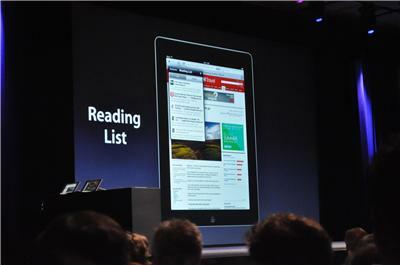 It also offers a new feature, called ‘Reading List’, to allow you to read an article later. 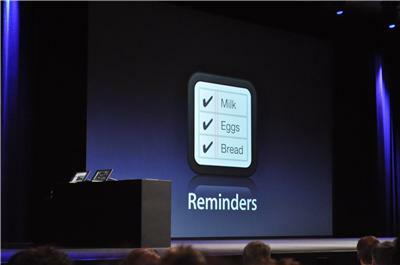 Reminders Reminders is a new app that will be included with iOS 5. The app will allow you to keep track and remind you of your grocery lists, birthdays, anniversaries, and so on. Camera The camera app is now much snappier, and offers a slew of new features, such as pinch to zoom directly within the camera. Mail The mail app finally supports rich-text formatting, not just plain text. You can control the text indentation, the fonts, and the colors. Mail addresses can be dragged, emails can be flagged and best of all, you can now search entire messages. PC Free With iOS 5, you can finally cut the cord. The OS and its apps can be downloaded and sync’ed over the air, without the need to tether your iPhone, iPod touch or iPad to your PC or Mac. In other words, you won’t have to go through iTunes any longer! 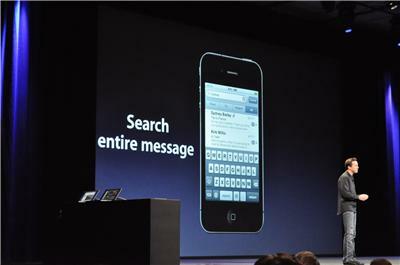 iMessage iOS 5 comes with its own instant messenger! 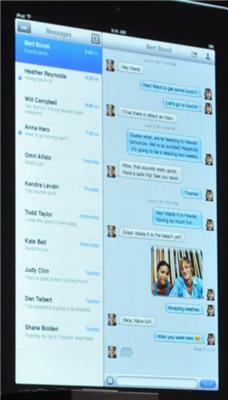 The new messenger is exclusive to iOS users, and works over 3G and WiFi – no worries, everything is sent encrypted. Messages are automatically pushed to all your devices, and you will be able to pick up a conversation right where you left off, regardless of the device – in other words, a conversation started on an iPhone can be continued on an iPad. The app allows you to share text, photos, videos, and contacts. MobileMe / iCloud iCloud is the visible portion of Apple’s cloud-based services, used extensively by iOS 5, in order to allow iOS users to store in the cloud content such as music files. Additional services such as universal syncing are also available, to allow users to sync – and keep in sync – all their iOS devices directly with Apple’s cloud. For instance, users are now able to share calendars with each other. 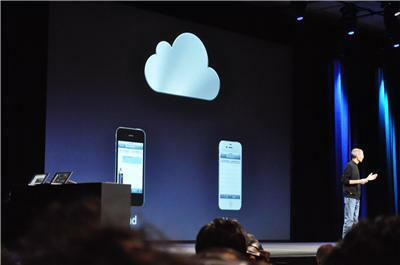 iCloud will store your content in Apple’s cloud and pushes it wirelesssly to all of your devices. It is directly integrated with iOS apps, and everything happens automatically. If you download a book from a device, you can also push it to your other devices, and if you happen to buy a new iPhone for instance, just type in your password, and everything will be loaded in automatically. Documents like Pages documents can be stored in the cloud, and can be pushed to all your other devices as necessary. All iWorks apps are already compatible, and a slew of third party apps are expected to leverage iCloud as well very soon. 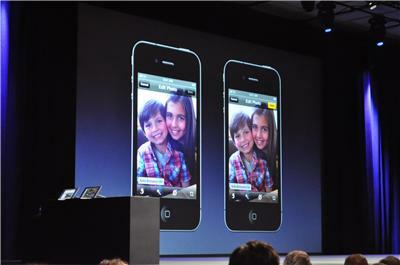 The same goes for Photos, as iCloud will allow you to push your digital pictures to Apple’s cloud. No need to move them over from one device to the other, they stay on the cloud, and can be accessed from anywhere. Last but not least: music. Similarly to photos, your music collection can now be pushed to Apple’s cloud, so that you can have access to it from any device. Note: This article is updated in real-time. Some content/pictures credit: TechCrunch.